And just where did THAT two weeks disappear to then? Crumbs, time flies when you're having fun! The 'Scratch Pad' crazy cat snippets card last time proved to be a hit - and lots of you played along for the prize as well - the result of the draw will be published a week from now. 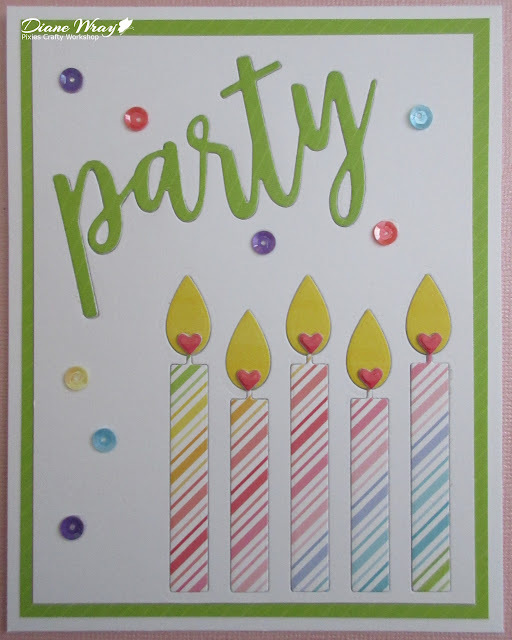 - big breath next as the next step was to die cut the word 'party' into the white background, using an MFT 'Party' die - I cut it at an angle (confess time here) mostly as I truly didn't see any way of me getting it looking straight! And, squeal, it worked! - at this point I went and had a little lay down to recover - even though things were rolling along smoothly I was waiting for a problem - as you do! - solution, trim the flippin' top edge off the embossed piece of white die cuts layer and also trim the card and backing panel slightly - one reason never to assemble a card until the end! 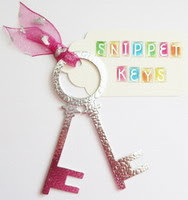 These are brilliant dies to use and can be for invitations or equally for a Birthday card. The party die would be good for the likes of New Year and other celebrations as well. I like to add a few sequins to plain cards now and then if they just look too bare and I discovered Lucy Adams a while back and just love her sequins and shaker mixes. She sells from her own on line shop in the UK HERE where I buy from - and Simon Says Stamp in the US also stocks her mixes HERE. 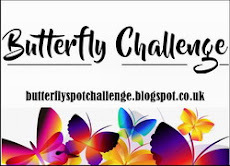 One word of warning - the selection really is huge with loads of themes and delicious colour mixes, so if you do go and peek, then please don't blame me if you end up spending a good few pennies! 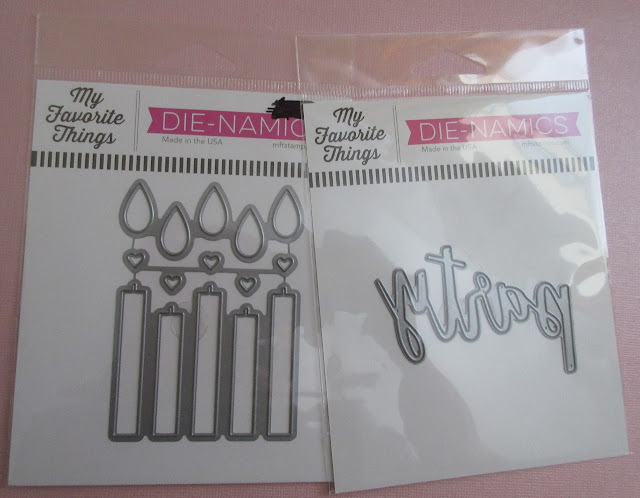 It's your own MFT 'Birthday Candles' set of dies and a 'Party' die as well. I won't be splitting the prize BTW. If you win and truly don't want to keep part of your prize then, as I've said before, feel free to pass it onto a crafting friend - but I do think they make a great pair! 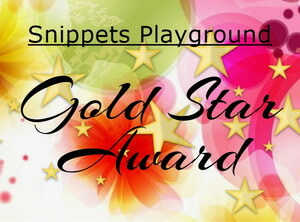 As always, the Snippets Challenge will run for two weeks and the Playground gates will close at 11am UK time on Saturday 1st September. The gates will open again at midnight UK time on the same day. It's been a rough week for both of us here - we seem to be kicking colds and other bugs around between us, first one of us is unwell and then within days the other one goes down with the same thing. Today (Saturday) is the best I've felt for almost a week and of course crafting has taken a bit of a back seat, apart from my snippets card! Oh my goodness Di, what a lot of work with all the inlaid die cuts. Your choice to put the Party sentiment at an angle was genius!! It looks even more restive with the Party die dancing across the card. Every little detail in this design adds to the fun...wonderful job!! Yes please to this fabulous prize. Birthday cards are one of my favorite to make and send out. Hoping the bugs are gone from you guys! I totally adore your card, Di--so beautiful & festive! I almost bought the candles in the recent MFT sale, but didn't let myself. Will definitely play for the prize this time! Oh, I sure do hope that you are feeling better now...or soon! I hate being sick in the summer the most. It seems like adding insult to injury when the weather is hot and you're sick. This party card is the cutest..and that inlaid die cutting makes me break out in a rash...so much work involved! My birthday card is much simpler, but I say yes please to this fun die set prize! Ooohhhh... Amazing card! Love so much your design and the inlay! Those candles with the big flames and the hearts are just delicious and your paper choice makes them so elegant and sweet!! Love the sentiment in the corner, too, and the sequins compliment so well the design! This inlay technique looks amazing! Great card Di! What a jolly party card and a good description of how it was made as usual. Sorry to hear you've both been under the weather and I hope you feel much better soon. Love your card Di well worth all that effort patching the bits together. Those sequins finish it off perfectly. I would love the chance to win the prize. I am slowly getting into more die cutting so anything to build up a stash! A fabulous card Di and I agree about not assembling a card until the last minute - I've often adjusted the size! I'll be in the playground soon and would love a chance to win this lovely prize, please. A really super card Di, certainly worthy of the effort, love the colours and the design. No problem about the 'you know what' you have 4 months left to use them for this year and I am quite happy for you to keep them for that long. Had a very strange cold myself. i almost felt OK to have a go today so it won't be as long as four months I promise! On my desk and leering at me as I type! Yes please for the prize Di, sorry I have been a bit absent! Morning, just uploaded my entry and YES PLEASE to this weeks prize. Sorry to hear you and Len have been feeling rough. Sending get well wishes to you both. Wow such an inspiration! Love your card. I would love to own those dies. My card will be going up tomorrow. Had a glitch, so I moved it back 2 days. 'Til then . . . Thank you for your ongoing inspiration Di - and please count me in to play, and to accept the prize should I win. The little hearts are the cutest ever for the flame! Great card! Brilliant card, Di, worth all your patience and perseverance. I love the rainbow candles. I'm a Yes Please for the lovely prize. Beautiful card! Yes for prize! Those dies sure do make for one fun birthday card! I love the festive colors, striped candles that look like the real thing, plus those tiny hearts in the candle flames - what a super cute idea! I'd love to have my name included in the prize drawing - thanks so much! Wow, so amazing card. Love thoes candles. Cute! Love the stripes on your candles; so fun!! I think I would like to play for the prize this time, thanks! Oh my! Your card is a delight (ha, see what I did there?!) And I'd love to add the dies to my stash. Count me in! Wow, a beautiful card Di, you are one very patient crafter! I would love to be entered into the draw please, these dies would be so useful! So pleased to hear you're feeling a little better. Take care. Your card is so pretty and festive. I nearly had to lie down myself in the middle of reading about all the painstaking inlays...and the adhesive scare!! Ack! What a lovely result, though....perfect for any young lady...or any lady who wishes she still were! Ha. Yes, please, to the generous prize!! Thank you for another fun challenge!!! Just signing in Miss Di. Your card is such a bright and cheery one with those candles, bound to brinbg a smile to the recipiets face. A really super card Di! Love thoes candles. Would love to go in the hat for that fabulous prize. Love these festive birthday candles, Di! The stripes are such fun! Playing for fun. really great card, I love all these bright colours. have a great week, here the summer has ended and it is really cold, only 13 degrees Celsius compared to 31 degrees on Friday, uf. Lovely card...Entered my entry ..Please add in for prize draw..
A fantastic card Di, I'm playing for fun this time around. I’m pretty sure I already commented on your darling card with the cute hearts on the candles, but now I’ve had a chance to play, so I can say I would love to be in the running for the prize. Have a good day! Hi Di...yes, I would like to play for the prize. Thanks! Super card Di. Love the little hearts in flames. Hi dear pal.. just lobbing im although not actually chez moi at moment. Had some news in snippety post linked to previous post wanted you to know so did post on phone. Getting quite used to it now have even found a great app resize all photos. I really truly love this card amd felt with you in all those dramas and lie downs esp as I've done the cuttlebug squash a few times ... pity we couldnt catch up whilst in UK later on. Sending much love and prayer your way. 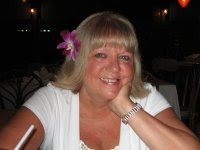 Shaz in Oz.xxxx ps trust you Len et al are well.. know you gad been poorly. PS will however decline prize though i love it. Must use more stash. ..
Great card. yes, I would like to play for the prize. Thanks! Beautiful card Di. I really like the pretty striped paper you used on the candles. It's a fab prize, but I'm just playing for fun this time around. Love your card! Just playing along to say thank you ! !